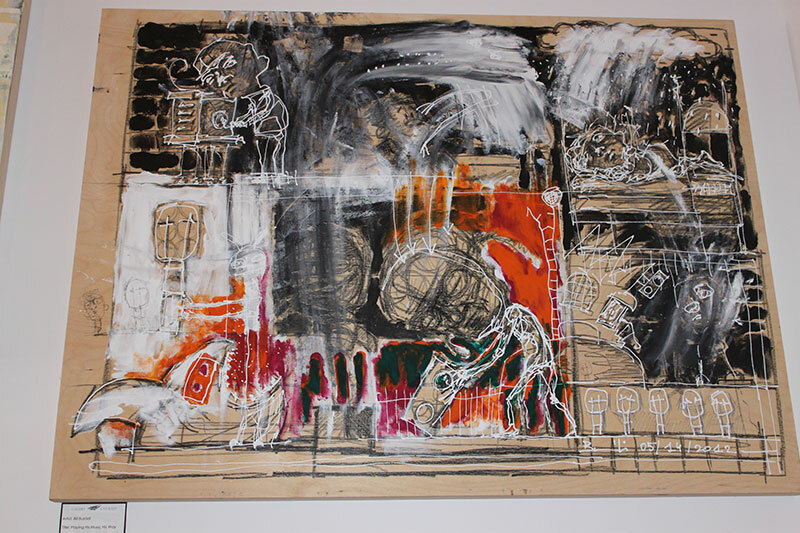 Bill and Cindy Buzádi celebrate the opening exhibit of their newest collection this month, challenging themselves and their viewers to question reality. 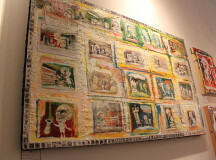 Canvas done with mixed materials by the Buzádi's. 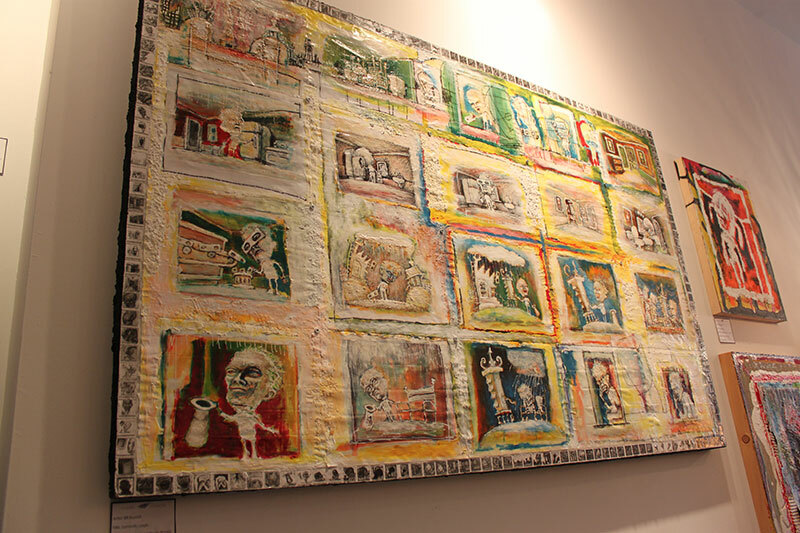 The filmstrip along the edges is an example of Buzádi's attention to detail. 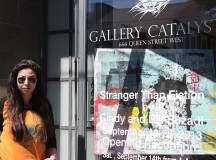 Director Nicole Gretes stands outside of Toronto's Gallery Catalyst. 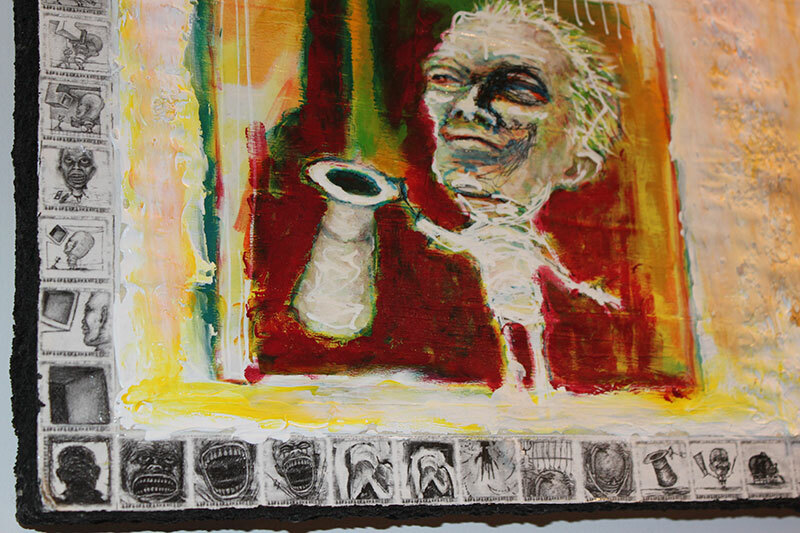 This piece, like the rest of the Buzádi's exhibit, centers around the organ grinder. 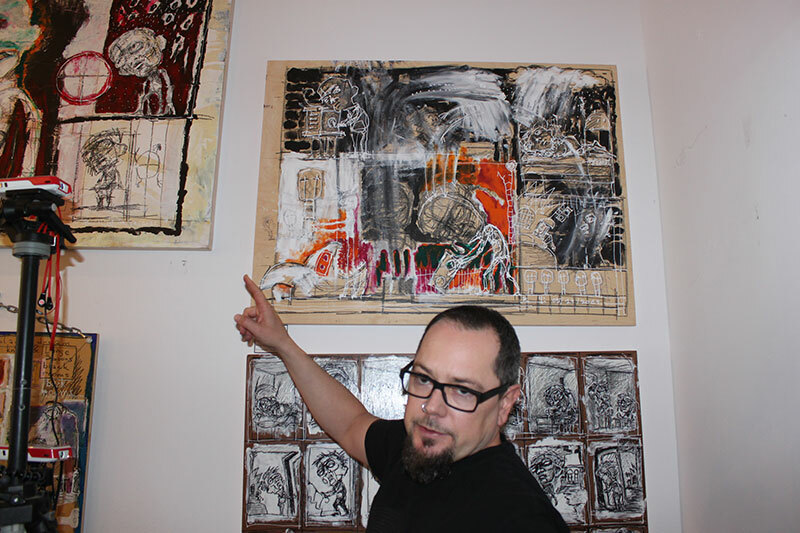 Bill Buzádi likes to use a variety of art and hardware store supplies in order to create a different look. 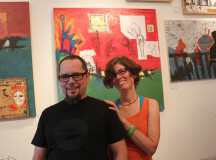 The husband and wife team standing in front of their work at their Saturday exhibit. 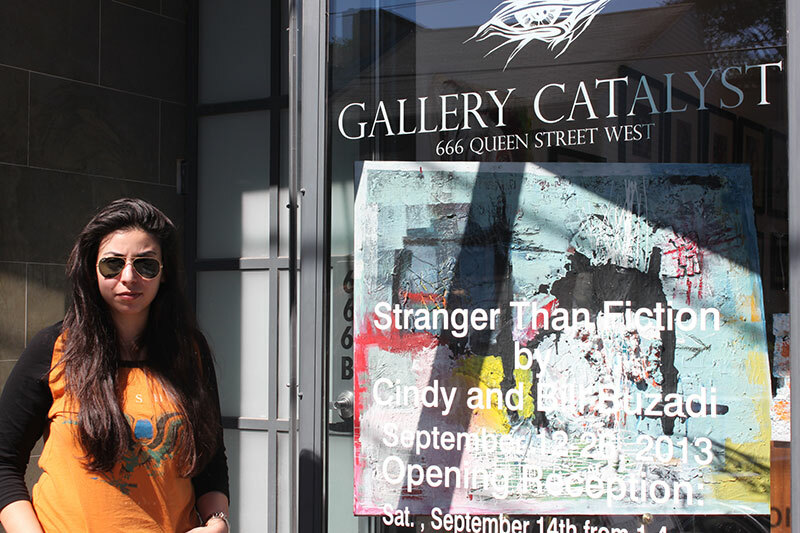 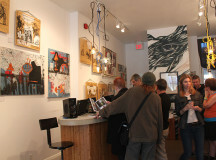 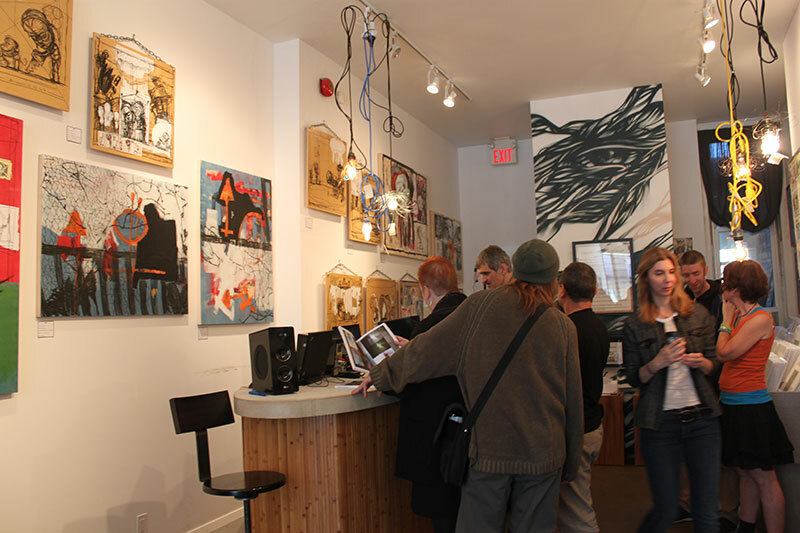 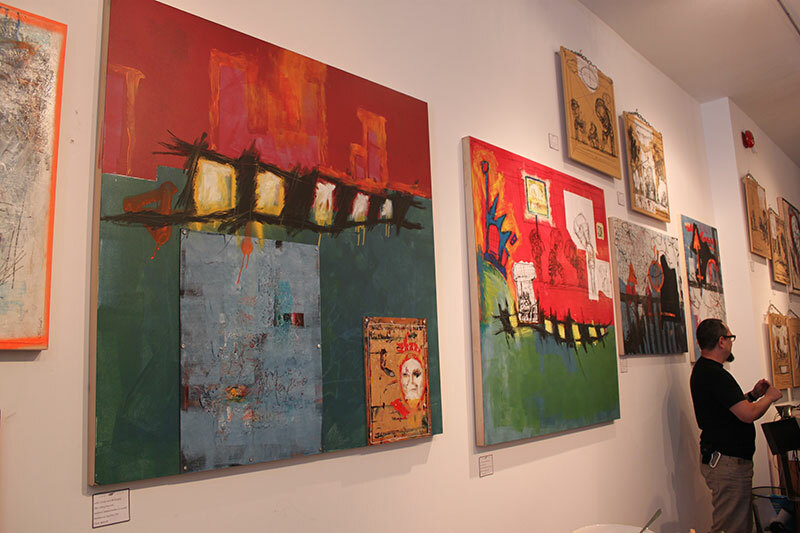 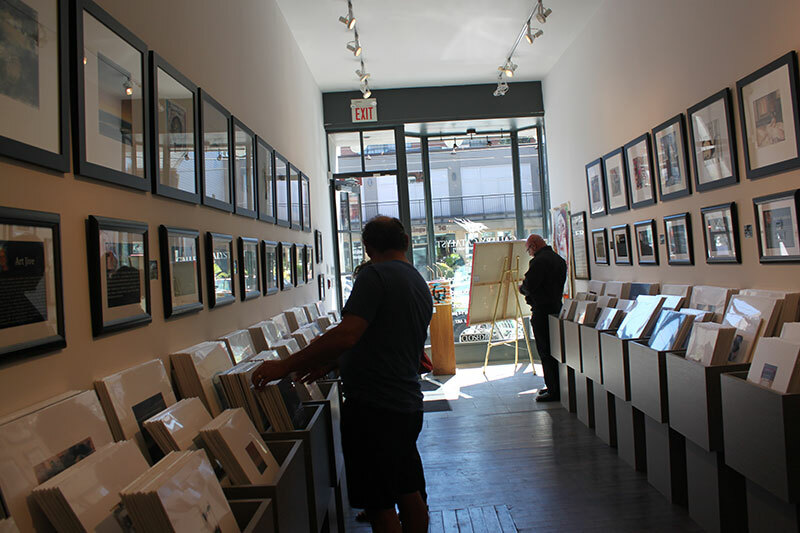 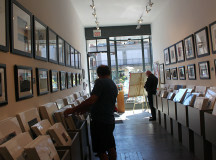 The Gallery Catalyst is located at 666 Queen St. W., Toronto. 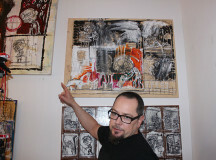 Bill Buzádi explains the techniques and tools used in his work. 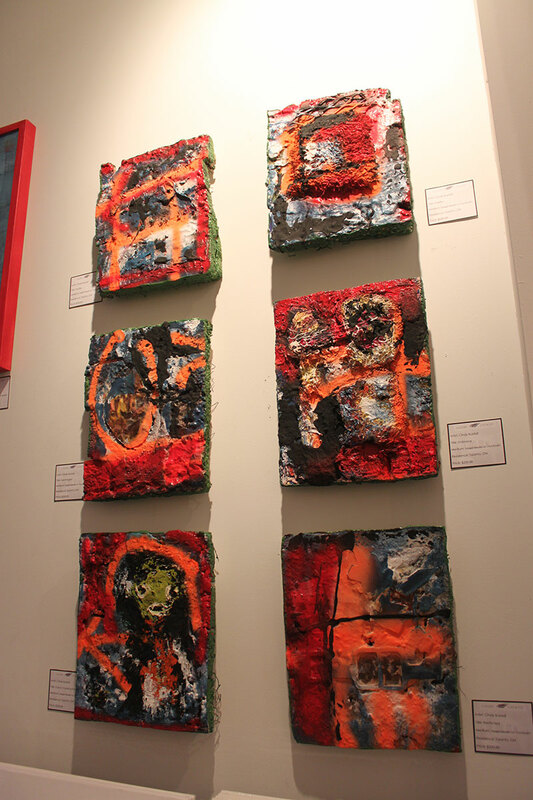 Cindy Buzádi mixes chicken wire, sand and eggshells in her paint in order to create a distressed look. 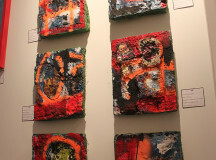 A few of the 36 paintings included in the exhibit. 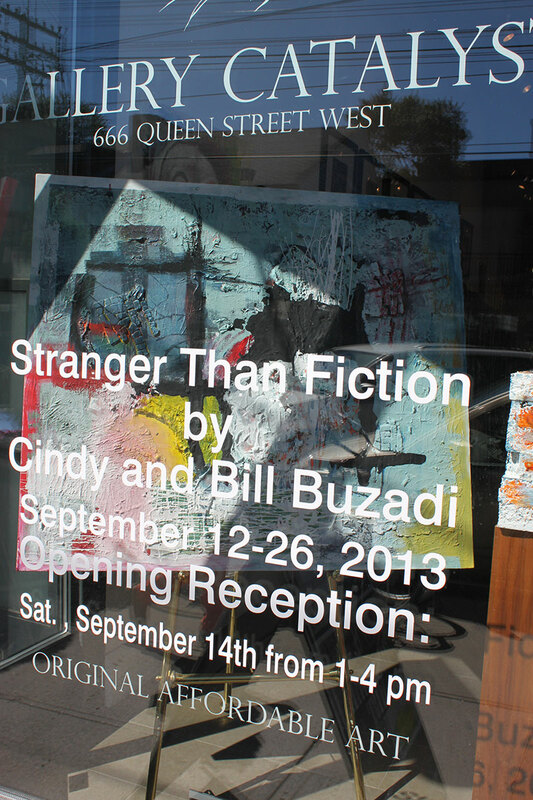 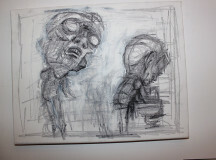 The gallery enjoyed a good turnout for the "Stranger Than Fiction" exhibit. 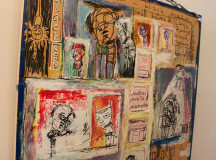 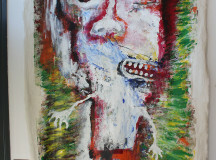 The paintings in the exhibit have been a work in progress for the past two years. 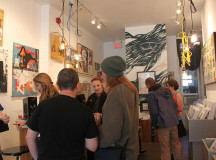 A crowd gathers to watch the Buzádi's film, "Discovery." 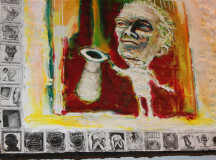 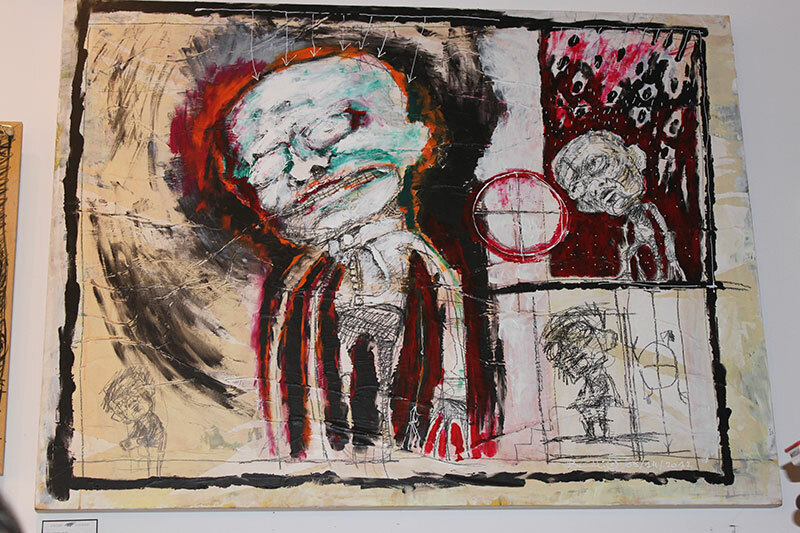 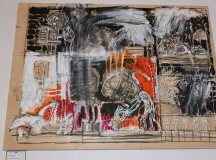 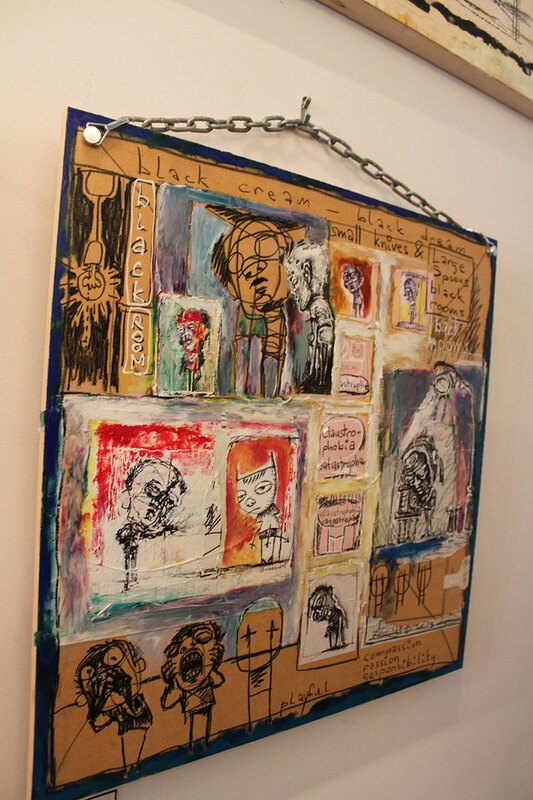 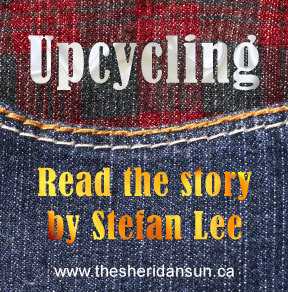 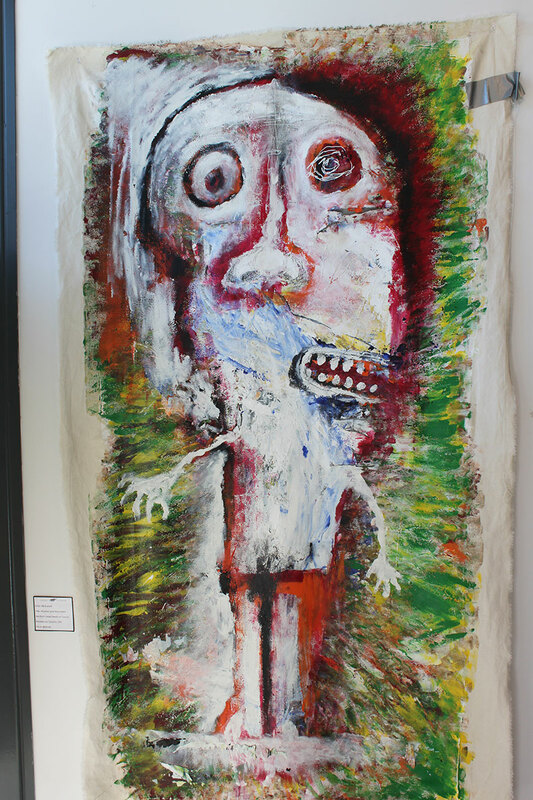 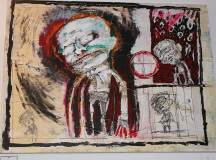 The exhibit focuses on an organ grinder who wishes to cast off the depressing mask of society norms. 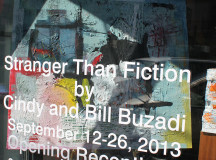 Bill and Cindy Buzádi employ both classical and computer animation in their exhibit. 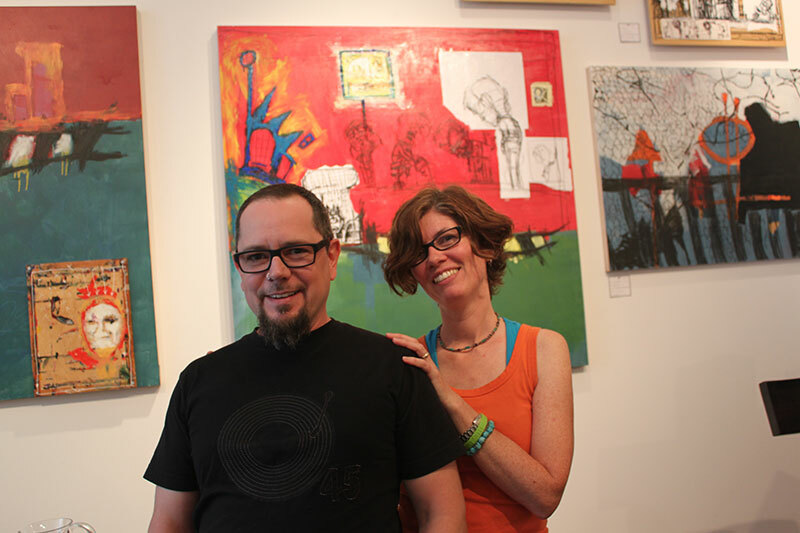 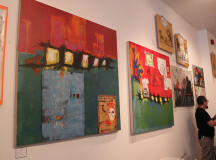 The Buzádi's are permanent artists at the Gallery Catalyst, and have 60 paintings there each. 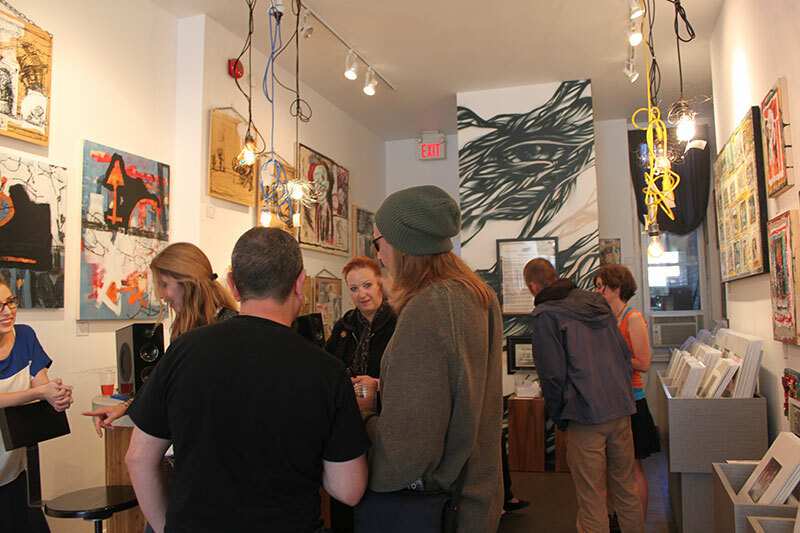 Added by Jessica Beaulieu on September 17, 2013.